i built my PC at school (i go to a vocational school) so i didn't have a motherboard manual. i checked how to reset my CMOS on Google. Have you tried that monitor on another computer? Everything you need for the board is Here. Click on the "manual" tab to get your manual. Im running out of ideas for the possible easy fix answer. monitor? if not the old monitor lead could still be the culprit. i took the card back to where i brought it from. turns out the card itself was faulty. i brought a new one and it does give an output to my monitor (thank god) its a PNY GeForce Card. and for some reason i cant install the drivers.it says that my card isnt compatible with the current set of drivers. so like whats that about ? why would the installation disk come with an incompatible card right ? this device cannot start. (code 10) no clue how to fix this. Does the computer boot up? Are you in windows yet? based on the error, I assume you are in windows. Lets look at a couple things. Edited by Jason11212, 22 March 2010 - 09:05 PM. error code 10 sounds like you have driver conflicts! have you uninstalled the previous cards drivers? google error code kb943104 hopefully your soloution will be found there. did some digging on that and i was starting to think that maybe it was something wrong with my drivers like you said, but then i look at the files that were on the cd. it says Vista and vista 64-bit, and also Windows XP and XP 64-bit. nothing about win 7 so im guessing that my graphics card isnt compatible so i guess that ONCE AGAIN im going to exchange this card in for another one. ill let you know how that goes. Edited by phillpower2, 24 March 2010 - 03:36 AM. Edited by Jason11212, 25 March 2010 - 08:40 PM. PC Wizard shows you have 2 video cards. So what board do you have in there? that first link has no available downloads on it. is just says none everywhere. and as for that second link...well it just didnt work. 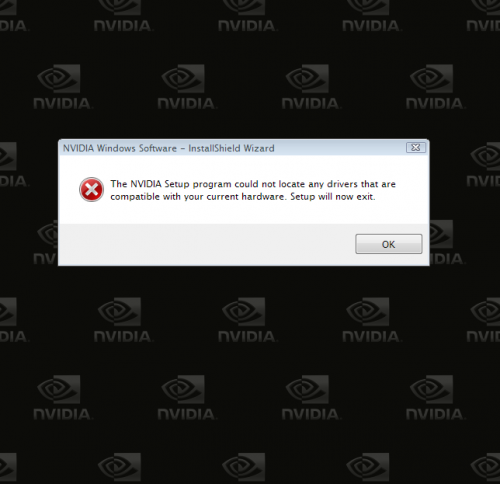 http://www.nvidia.co...97.13_whql.html is the driver i have, but it wont work. my it teacher at my school (who in my opinion is a genius, like you) at my school told me i could bring it in on monday. so ill see how it goes. but still im open to any suggestions because im at my wits end.